I hope you enjoy the Day in Tech History enough to lend a $5 for the cause. Times are tough all around, and here at DITH is no different. I need some overhead so we can continue with this show. 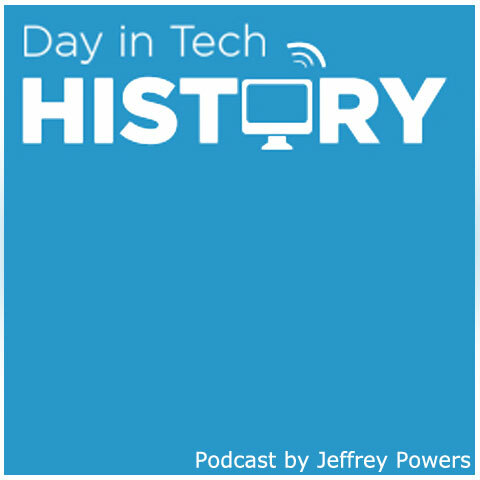 Day in Tech History plans for 2012 The Day in Tech History is expanding in the next year. It already split from geekazine.comso I can add more content other than the daily show. This includes photos, old ads and video spots in technology history. The other part would be to get 1-2 people on this project spending some time so I don’t go completely insane. Fill in the missing timeline information and reference the existing data collected. Back the Day in Tech History Podcast!! Every dollar counts! Feel free to tip the show so you can continue to enjoy the content! Tip Here! Roger Nash – For all the hard work you do with DITH. Thank you.